On a farm in Fairfield 6 wind turbines already generate 10 megawatts, which supplies about 2,000 average residential houses annually, but developers are trying to build more of them. “It will be 15 more turbines just like these, maybe slightly bigger,” said Marty Wilde Principal Engineer at Wind Data. Wilde said they will add 25 megawatts of renewable energy into the Northwest Energy grid. Wind turbines currently cost about 2 million dollars a megawatt, but Wilde said there are advantages. “The main advantage is the carbon free generation and how it addressees some of the green house gases and the climate change issues,” said Marty Wilde Principal Engineer at Wind Data. Wind turbines in other states have killed endangered birds, but that has not been the case in Fairfield. “Out here we haven’t had any impact and we have ongoing post construction studies,” said Marty Wilde Principal Engineer at Wind Data. Wilde said building more turbines will bring construction jobs, more local tax dollars to the county, and money to farmers who provide the land. 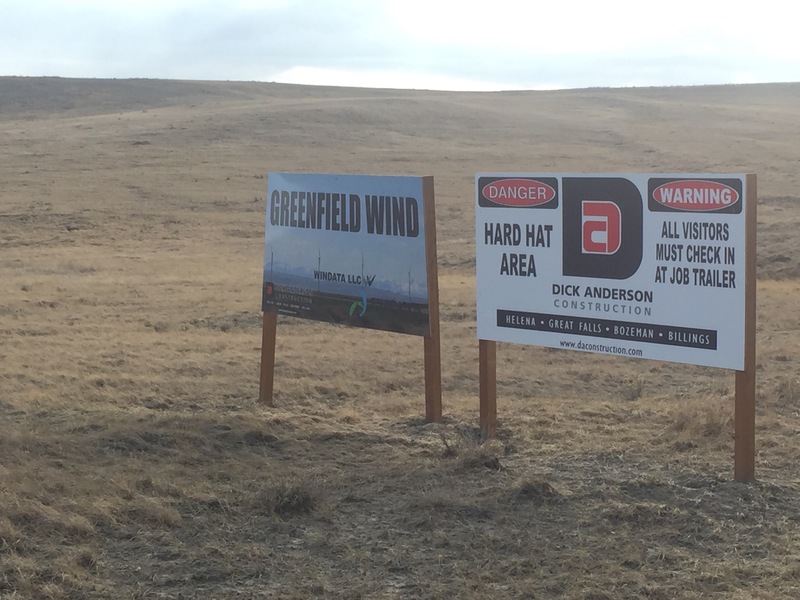 The next set of 15 wind turbines for the “Greenfield Wind Project” would be built this year and is expected to be done by this coming fall, but none of them will be built unless the Montana Public Service Commission approves it first. 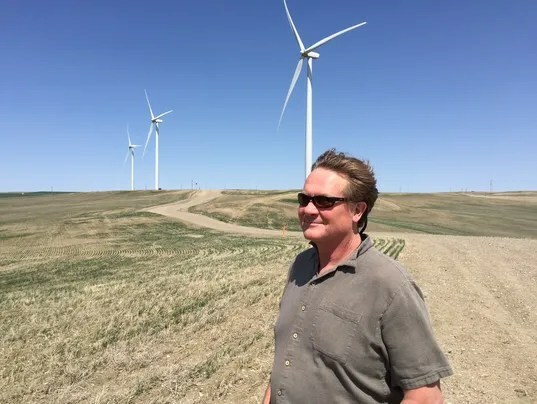 “There have been a lot of challenges one again, that’s why we are so excited to be in front of the PSC like we are now looking for this approval for this next wind farm here,” said Marty Wilde Principal Engineer at Wind Data. 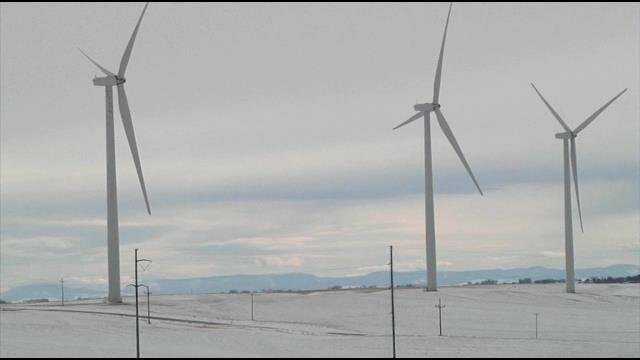 via More Wind Turbines Potentially Coming to Fairfield – KFBB.com News, Sports and Weather. This entry was posted in Fairfield Wind, Greenfield Wind, Marty Wilde, Montana PSC, Montana Renewable Energy, Montana Wind Energy, montana wind energy, Montana Wind Energy Projects, One for the little guy, Wind Energy in Montana, Wind News and tagged Fairfield Wind, Greenfield Wind, Marty Wilde, Montana Wind Energy, Montana Wind Projects, Mpntana CREP Projects, NorthWestern Energy, Wind Energy in Montana, wind plant operations, WINData LLC, WINData News. NWE seeks to pay indie power producers far less than it asks consumers to pay for damsPrint EmailDennisonBuy NowDennisonJuly 27, 2014 12:00 am3 CommentsHELENA – NorthWestern Energy and its regulator, the Public Service Commission, are rightly getting plenty of press on the company’s proposal to pay $870 million for a dozen hydroelectric dams.But another energy issue involving both entities is flying well under the radar — and has the clear potential to affect small, independent power projects in many parts of rural Montana.The issue is how NorthWestern buys power from these small wind and hydro projects, which, by law, are entitled to contracts if they meet certain requirements.When it buys power from these projects, NorthWestern includes the electricity in the mix it sells to its 340,000 electric customers in Montana.The project developers say their plants offer power that’s sometimes cheaper than what NorthWestern produces, that provides some competition to NorthWestern’s power-generation, and brings development to rural areas.If the PSC approves the dam purchase as proposed by NorthWestern, customers will be paying the company about $60 per megawatt hour for power produced by the hydroelectric dams it owns.But in recent filings before the PSC, NorthWestern is saying it should pay the independent projects only $40 a megawatt hour for their power.This discrepancy has small project owners hopping mad, and crying discrimination. The power company, they say, knows if such rates are approved by the PSC, the small power projects will never be built, because they can’t be financed at that price.NorthWestern, which has often resisted such projects, simply wants to own as much generation as possible, which means more profit for the company, and discourage any competing, independent producers, they say.Small-project developers also point their finger squarely at a majority of the PSC, saying it has repeatedly let NorthWestern get away with undermining federal law that requires small projects to be able to sell their power to the local utility, at a fair price.They note that the Federal Energy Regulatory Commission ruled in March that the PSC has taken illegal actions making it difficult or impossible for some small power projects to get a contract — and that the PSC has done little or nothing to correct those actions.PSC Chairman Bill Gallagher, a Republican from Helena, says he hasn’t seen a need to rush into a decision, in response to the FERC ruling, and that the PSC must fully consider howrates and conditions for the small-project contracts will affect the company and consumers.He also says he has a problem with how federal law grants “preferred status” to small power projects selling renewable power. Competition among projects should be the determining factor, he says.FERC, however, disagreed, saying the law requires contracts to be awarded at a rate set by the PSC, tied to what the utility would have to pay to buy or develop similar power elsewhere. It said the PSC cannot arbitrarily limit the amount of wind projects that get condtracts, and cannot require projects to enter into competitive bidding that, in reality, seldom occurs, and which they never win.Still, the PSC appears finally to be moving forward on the issue, likely holding a work session later this summer to respond to the FERC ruling and related items.Commissioner Roger Koopman, R-Bozeman, says he expects the PSC to change its rules to comply with the FERC ruling and look for a way to treat both the power company and the small-project developers equitably.“We do not want to send the message that we want to see NorthWestern’s portfolio include their own hydro plants but that it doesn’t have room for small independent power projects,” he says.NorthWestern also has acknowledged the FERC ruling, but, at the same time, is asking the PSC to lower the price NorthWestern must pay for a proposed 25-megawatt wind project near Fairfield and other projects, to the $40 per megawatt hour range.Company spokeswoman Claudia Rapkoch says the dams that NorthWestern wants to buy are more valuable resources than the small power projects, and therefore command higher rates.The company wants to ensure that any power it buys from small producers is at a price that reflects the current market, and can be reliably delivered, she says.Yet Commissioner Travis Kavulla, R-Great Falls, says actions by NorthWestern seem discriminatory against the small producers, and that he hopes the PSC will take a hard look at the issue.“I think we need to consider righting the situation so we can be fair to all players,” he says.Mike Dennison is a state reporter for Lee newspapers. via NWE seeks to pay indie power producers far less than it asks consumers to pay for dams. 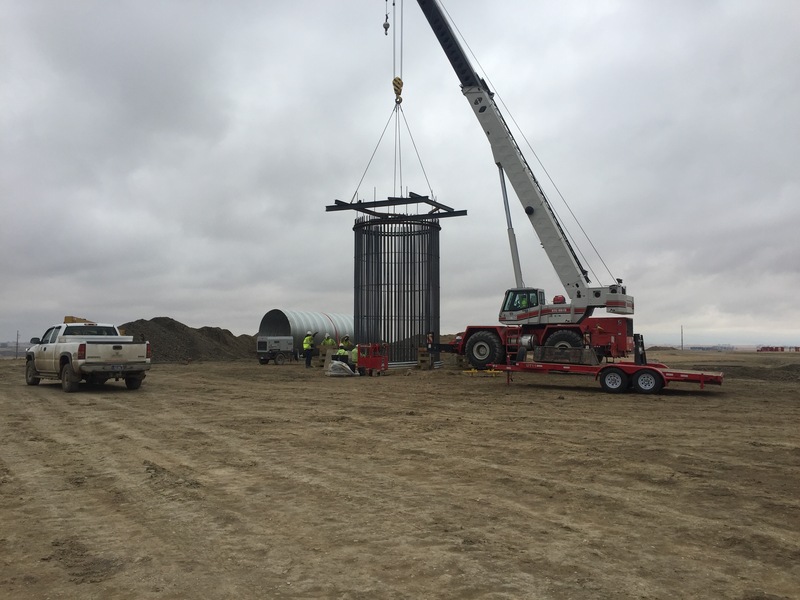 This entry was posted in Montana Renewable Energy, Montana Wind Energy, Wind News, WINData Home and tagged Crazy Mountain Wind, Fairfield Wind, Greenfield Wind, Montana Wind Energy, Montana Wind Projects, NorthWestern Energy, renewable, wind plant operations, WINData LLC.